SalafiEventsUK have recently been exposed for having promotional material for the likes of Yasir Qadhi and the disgraceful Abu Eesa Niamatullah of al-Maghrib Institute on their masjid walls – the exact same masjid they are now holding the quick ‘cover up’ conference in to divert attention away from the embarrassing exposure. In this quick cover-up conference they have invited an individual by the name of Abdurahman Hasan, and have lavishly promoted him as having ‘studied under’ Shaykh Abdul Muhsin and Shaykh Fawzan, (even they had enough sense to realize phrasing it as “student of Shaykh Abdul Muhsin and Shaykh Fawzan” would not have fooled anyone, hence the watered down – yet still lavish – version “studied under”). His name is Abu Ishaaq al-Huwayni from Egypt. So who is he? The Salafi scholars will inform you…. Q: What is the state of all the following – Muhammad al-Maghrawi, Abu Ishaaq al-Huwayni, Hussein Ya’qoob? A: That which I know about Muhammad al-Maghrawy is that he is Takfeery, and Abu Ishaaq al-Huwayni also, and he is from the friends of Abul-Hasan and his supporters, as for Hussein Ya’qoob I do not know him”. “For years I have not answered (regarding Huwayni), I wanted to delay regarding his affair, I wanted to debate him (over his errors), I sent him advices, but (he hasn’t changed) he is as he was, he doesn’t increase in anything except further distancing himself from the Salafi Methodology, and increasing in unity with the Qutbees, so this is his state, this is his state now. He claims to be from ahlus Sunnah yet gets closer to the people of innovation, and associate with them and unite with them”. Please do not be confused by these deceptive individuals “SalafiEventsUK”. 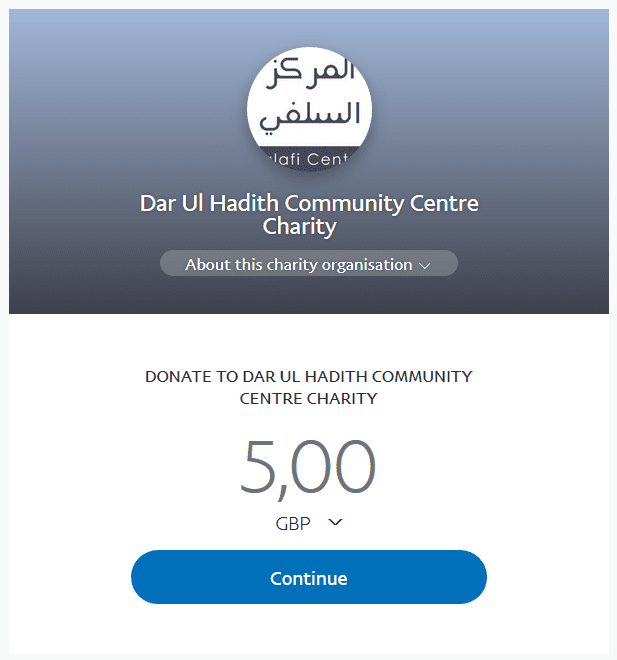 They support hizbees and work with them (from masjid sunnah Cheetham Hill who cut the phone line on purpose on Sh Rabee when he was going to refute their shaykh abul hasan Mariby the innovator), they promote al Maghrib on their walls, they had syed qutb books available to the public – until they were exposed. They now invite the foolish Abdurahman Hasan who thought he could debate the Takfeeries and instead ended up in national humiliation for himself after they defeated him, the Takfeeries were jubilant posting up the video everywhere after their victory. They invite Abul Abbas Naveed, the known liar, a defender of GLM who lectures with them, a defender of Abu Osama Dhahaby. A member of the refuted madeenahdotcon. The advice is to STAY AWAY, do not attend these events of theirs. Protect your religion. Do not end up with almaghrib or GLM or with Abu Osama Dhahaby through SalafiEventsUK. BaarakAllahu feekum. Please forward and advise your friends & family to stay away from these deceptive individuals.